Solukhumbu jungle explore Trek is located in southern region of Solukhumbu district and away from the trekkers crowd. This trekking route is recently explored by Himalayan Joy Adventure. Solu Jungle explore trek is a unique off the beaten path trekking designed in order to explore the flora and faunas of the Solukhumbu besides having scenic views of mountains and other snow-capped mountains lying in the area. It is one the recently explored trekking destinations in Solukhumbu region. It is popular trekking trail in Solu-Khumbu region. Since this trekking takes you through dense forests of rhododendron, pine, where you can explore the varieties of flora and faunas, you also can explore the Rhododendron flowers, pine trees, wild animals such as mountain Thars, Bear, Leopard, Jackle and birds like pheasant. It also believed that the mountain man Yeti exist can be found in this forest, where you can see the signs of steps taken by this mountain man. 01 Days Arrival in Kathmandu (1,300m/4265ft.). Himalayan Joy Adventure will officially welcome and meet you at Airport & transport by private vehicle to a comfortable hotel. You will have leisure time, followed by an evening welcome dinner at a typical Nepalese Restaurant and discussion about the trip, in Kathmandu overnight (1,300m/4265ft.). Half-day Cultural city tours, Kathmandu Durbar Squar ,Pashupati Nath, Syambunath & Buddha Nath- Buddish & Hindus temples - The biggest Buddha Stupa in Kathmandu valley. In the afternoon a trekking Guide (Sherpa) will come to meet you for next day departure and provide information at hotel, in Kathmandu (1,300m/4265ft.). It’s about 8 hours’ drive to shivalaya. Its a joyful drive through many different villages, rivers, bhanjyang, deurali etc. At the time when road begins uphill we will enjoy panoramic view of the hills, villages and valley. Then you will reach the Shivalaya which place is located bank of Khimti River. Stay overnight in Shivalaya. It’s about 5 hours walk to Deurali. You will have to walk through the many different villages’ practicing different culture and tradition. On this day mostly the trail moves uphill. Deurali is a nice place to stay and to enjoy spectacular view of the mountains. Stay overnight in Deurali hill. It’s about 7 hours walk to Namkheti. First few hours you will have to descend to Likhu river then you will have to cross the Bridge from where you will start to climb up to Namklheti through many different villages. It’s really great walk through villages and to see their culture and typical village life. While passing through these villages you will see people of Kshetri, Brahaman, Sherpa, Newar, and many more communities and their all the different culture as well. Stay overnight in Namkheti jungle. It’s about 6 to 7 hours walk from Namkheti to Naur Gompa. You will have to walk through the village and the fields. Today normally you will move uphill. You will visit a sherpa village following Buddhism. Visit the monastery and go to pray and learn their interesting culture. Stay overnight Naur Gompa. It’s about 4 hours walk to Pikey Danda. Pikey Danda is the one of the best place to see the panoramic view of the mountains and valley. This is the place from where you can see the top of the world Mt.Everest and many other mountains. You can also visit the cheese factory where Himalayan yak cheese is made. 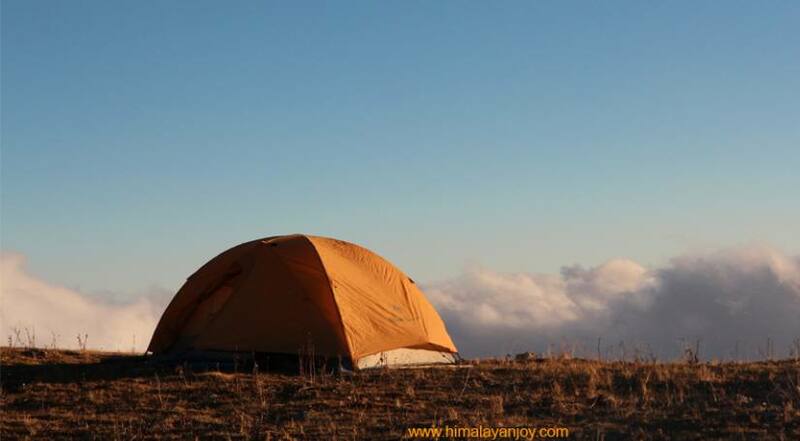 Stay overnight in hill with such a great view and stars at night. It’s about 7 hours walk. You will have to walk through the jungle, hills and villages. It’s a great walk. While passing from jungle you will get the chance to see wild animals and many different birds. Junbesi is a beautiful village. There are few monasteries and many Chorten as well. Enjoy the Buddhist culture and their local food. Stay overnight in Junbesi village. It’s about 4 hours walk to Taksindu. This is a really nice walk through the jungle and bare hill side as well. While you are passing the trail you will have to walk through few sherpa villages. You will have great time on this trail. When you reach the Taksindu you will see the beautiful Numbur himal and many more different mountains. Stay overnight in Taksindu jungle. It’s about 6 hours walk to Ratnangi. It is a a great trail through the big forest and you can see the different animals and birds. This would be one of the best days of trekking in the forest. Ratnangi gives one of the best views from where you can see also Mt.Everest and many different mountains, great valleys and villages. Stay overnight in Ratnangi. Finally we are about to finished the jungle trekking. This is last day walk to Phaplu about two hours down through the big pine and rhododendron forest. Make a last day celebration of trekking and goodbye to your kitchen and supporting staff. Stay overnight in Phaplu. Fly back to Kathmandu in a small domestic airline. It takes about 35 minutes or drive 8-9 hours to reach Kathmandu. Then Himalayan joy Adventure will pick you from the airport and transfer you to the hotel. Departure for your home with great experience in a country situated in the lap of Himalayas and a great memory in your life. Himalayan Joy Adventure drop you to the airport and bid goodbye hoping to see you again…once is not enough……”Many people are happy to come in Nepal but they are sad to leave Nepal”…..